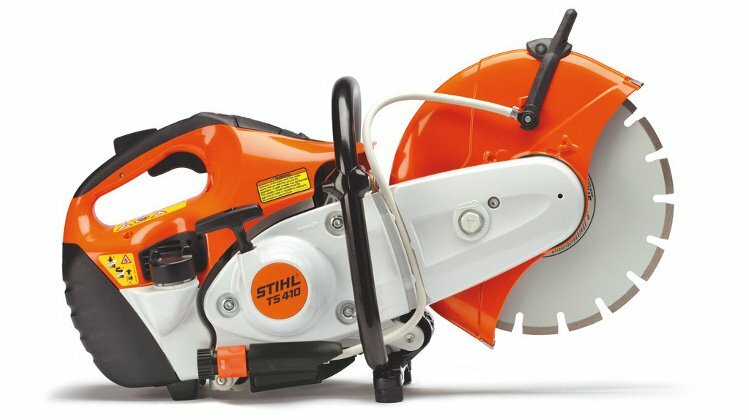 Now a cut-off machine honed to perfection the new Stihl TS410 is the latest in the Stihl cut-off saw family. 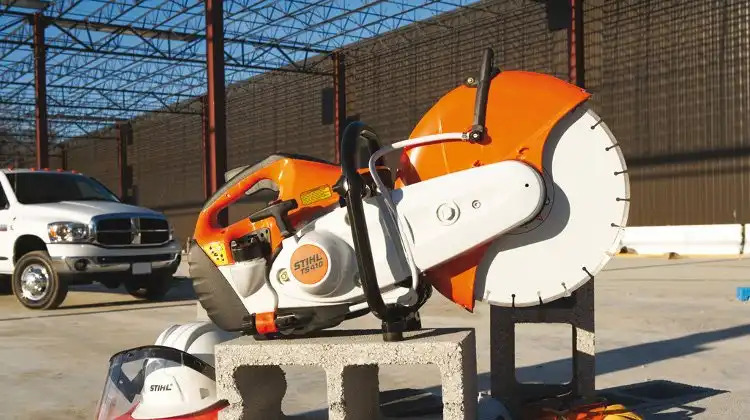 It’s packed with the latest engineering innovations developed by Stihl. The long-life air filter system with cyclone pre-separation makes on site maintenance a thing of the past. The anti-vibration system results in extremely low vibration levels (3.9m/s²), reducing wear and tear on the saw operator! The new high performance engine boasts a stratified charge system which introduces a cushion of air between the exhaust and intake gases, resulting in lower fuel consumption and cleaner emissions. The compact design is optimised for perfect balance to give excellent cutting and guide characteristics. It may be the latest model but you must still follow these maintenance tips for the Stihl TS410.